Do our brains change with increased learning? 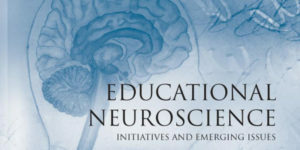 I am an enthusiastic reader of Educational Neuroscience, which is the practice of applying neurology to benefit classroom instruction. In my previous blogpost, I wrote about a growth mindset being almost a prerequisite for lifelong learning. As I was preparing for this post, I came across an article about the Ari”Zal whose Yahrtzeit is on ה׳ אב, the fifth of Av. What is the connection? In many places, the Ari”Zal was called Ari”Zal Hachai, the Ari”Zal the living. Ironically, reflecting on his Yahrtzeit, this description seems quite out of place. Life and passing are opposite states. But the Ari”Zal’s activities during his lifetime were life giving even to the generations who followed his. On a Yahrtzeit, one’s life aspirations and activities are brought out in a more revealed form, and bring goodness to all of those who follow in his path. This is the Chai, life reflected in the Yahrtzeit. Even more, with each successive year, the impact of the person’s life goals become even stronger for those living today. The Ari”Zal was one of those very special people who made the secrets of the Torah more accessible to the average person. No we are not going to sit down and learn the Zohar, but there are many teachings, as in the study of Chassidut, where the concepts the Ari”Zal taught have been translated into a language comprehensible to many, each according to his level. The Ari”Zal initiated exposing the subsequent generations after his own, to learning the deepest secrets of the Torah on a level that they could comprehend. How can our minds absorb such depth of Torah, that until that time, was reserved for the unique, few great scholars? In the writings derived from the teachings of the Ari”Zal himself, it says that resulting from increased and more in-depth study, especially Torah, there is an expansion and growth in the physical tissue of the brain and the development of additional grooves and furrows in the grey matter that did not exist before. With this added physical growth, the individual is thus capable of continually increasing in amount and depth of subsequent learning. Since the mid 1990’s, neuroscience has made enormous strides in understanding how the brain develops when nurtured and in contrast what happens in view of the lack of stimulation. Marian Diamond has made it her life’s work to explore what a stimulated environment can do for a growing person, throughout life. The brain, what was once believed to be an organ which had a cap on its growth cycle somewhere in the teen years, has since been demonstrated to have a lifetime of dendritic growth when stimulated by living in a rich and inspiring environment. In her book, Magic trees of the mind, she attempts to clarify with concrete scientific evidence how different environments affect children, and that continued stimulation impacts the ability of people past childhood to learn dynamically throughout their lives. What a positive message to take with us during the three weeks, that are traditionally less happy and joyous times. CyberSem takes this position seriously, making robust Torah learning easily accessible for women of all ages.